If you have kids, you should definitely start saving for their education. The average cost of 4-year degree is approximately $20,000 so you cannot put off your saving unless you are a rich person. The sooner you start saving, the better. You can consider opening a separate savings account for your children’s education. A house is perhaps the most important thing every person should be saving for. Sure, it depends on whether or not you want to buy your own house. If you want, achieving this goal will require a down payment of about 5% for a conventional loan and 3.5% for an FHA home loan. Be ready for it. 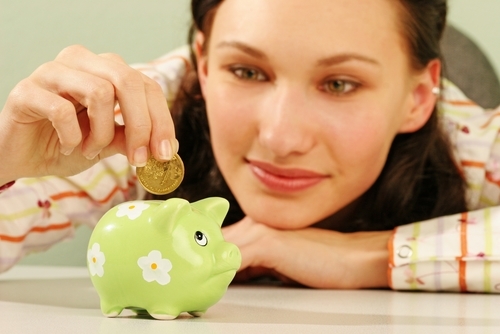 Even if you are in your 20s, you need to start saving for your retirement now. I think every person has to enroll in their employer’s 401(k) plan as soon as they are eligible. You can also consider other savings options, for instance, open an individual retirement account. A car is another thing you should be saving for. The great news is that many dealerships don’t require a down payment. But, you need to know a down payment can help you negotiate a lower interest rate. So, if you’re going to purchase a car, begin saving money and aim for making a down payment of about 15-20%. If your company seems stable and you are doing a perfect job, job loss can still happen and you should be ready for it. And if it happens, you will need some money until you find another job. Make it a rule to save some amount of money every paycheck and you will be prepared for any situation. Unfortunately, most people don’t even think of saving for their vacation. They just go to work and pay bills, forgetting about rest. However, you work hard and you deserve a bi-annual or annual vacation. Begin a vacation fund and make sure you deposit a certain amount of money into this account monthly. Surprise your family with amazing trip, they as well as your body will certainly thank you! Do you want to buy a new flat screen TV or an expensive dress? You can pull out your credit card, but it’s better to save up and pay cash. It’s so easy to go into debt and so hard to pay it off. Plus, you will not have to cope with interest charges and you won’t have any problems with your credit card. Whether your major goal is to take an awesome trip or purchase a big house, you need to have a solid savings plan. It may take some sacrifice and discipline, but it’s worth it. Did you start saving money?